Airlines - a new flight plan for Horizon Air? It was with a mix of curiosity, surprise, and apprehension that I recently read about a change of direction for Seattle-based Horizon Air via the travel press and other blogs I follow. Those reactions, like ingredients on a box, are listed in descending order of relative size. Very curious, quite surprised, and a mild sense of stomach distress as to what the future may have in store. Effective 1 January 2011, Horizon Air’s relationship to sister carrier Alaska Airlines (both are wholly owned by Alaska Air Group) will change. For a thorough account see this article from Aviation Week. The affiliates – some such as SkyWest are separate companies, others like American Eagle are owned by the parent airline – don’t have much say in where and when they fly, but that’s not always a bad thing if you’re making money reliably. Look what happened to Expressjet when it began its own branded high-quality service. It helped to weaken the company, which is now in the process of being acquired by SkyWest. Up until now, Horizon has had only about 45% of its capacity bought by Alaska under CPAs. The rest has been Horizon’s to market and sell as it sees fit. Starting at the beginning of the year, that figure will become 100%. What changes to Horizon’s route map will result, likely will take a while to occur as Alaska and Horizon examine the impact on the combined and separate bottom lines. Both airlines are profitable again, but Horizon less so than Alaska. The apprehension part of my reaction is partly personal and partly business - not my business, but rather the airline’s. Long ago, I worked briefly in Horizon’s reservations call center in Seattle. It was June 1985, and I’d just been trained to work at Alaska but it turns out there weren’t any jobs for our class at that moment, so Alaska suggested we approach Horizon for jobs. I worked there for three months until Alaska called us up, and so ended my “summer vacation” at Horizon. But it was a brief interlude I enjoyed. The carrier was laid-back and professional at the same time, and bore the stamp of its founder, businessman Milt Kuolt. Mind you, this was before Alaska owned Horizon. In fact, they so didn’t own it, that Horizon was in cahoots with United offering code-share service in markets like Seattle-Pasco and Seattle-Yakima. (United then and now is one of Alaska's archrivals for traffic between California and the Pacific Northwest.) As you can imagine, the relationship with United ended abruptly when Horizon was acquired by Alaska Air Group in 1986. What didn’t change is that Horizon continued to project its own image and offer a standard of service distinct from Alaska. It was probably 1991 that as an Amtrak employee I had to get quickly between Portland and Boise so I flew Horizon and got to enjoy the best cup of coffee I’ve ever had in the air. I believe that Horizon was the first airline to offer in-flight Starbucks coffee, a logical connection between the two Seattle companies. The coffee was really good, and I believe was actually brewed off-site by Starbucks and delivered plane-side. You may be wondering what exactly is my apprehension about since all I’ve written about now is Horizon history in general and personal reminiscences in particular. I don't want to see these memories of the past and stand-out service of the present disappear into the grave of yet another airline fallen flag. The company/companies are deliberately vague as to what is in store for Horizon Air beyond the switch to the 100% CPA. Perhaps Alaska Air Group has a master plan up its sleeve to sell off the carrier or remove the Horizon Air brand altogether but frankly I doubt that – yet. 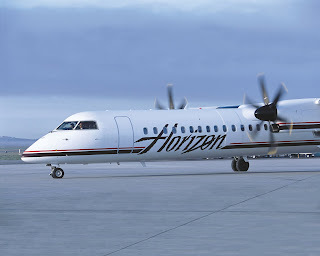 They have an understandable goal to increase Horizon Air’s profitability and will probably wait to see how things go with the new CPA agreement and perhaps make some changes in the short and medium-term to Horizon’s route map. But I’ll put my two cents in right now, and opine that I do not want to see dramatic changes to the Horizon Air product or brand. Not only would it make many people unhappy, but more important is that I don’t think it would be useful for the company. Alaska serves the east coast, midwest, Hawaii, and Mexico, and Horizon has spread its wings well beyond the Northwest, but there's no doubt where the airline is from and where its heart is. The same thing could be said about another very successful carrier that is much larger than Alaska/Horizon, yet also makes no secret of where it's from: Southwest and its home base of Texas. Conversely in Chico, Calif. where I live, we have United Express service to SFO operated by SkyWest. I’m delighted to have this service but the flight itself doesn’t do anything other than link a small city with a very large airport and its vast array of connecting flights. There is no sense of place I get from SkyWest, any more than I do from United. 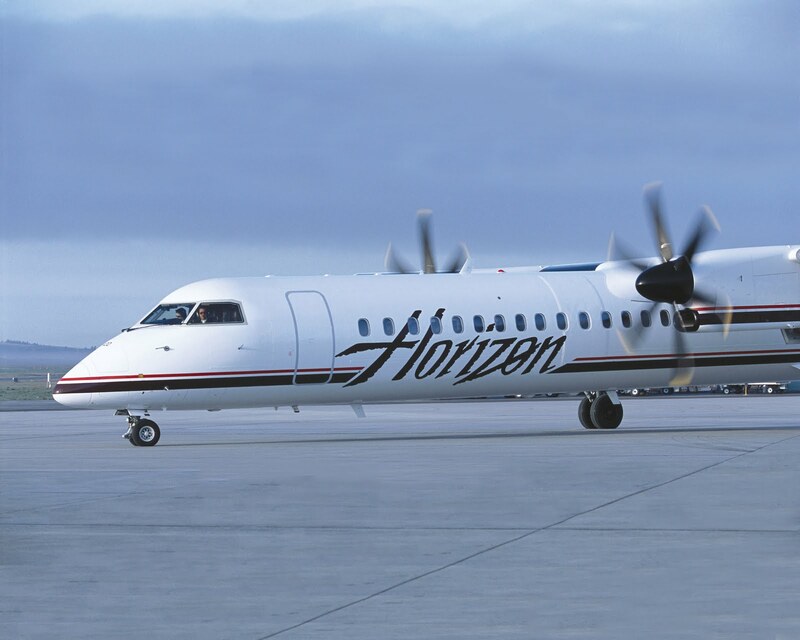 As the managers of Horizon Air and Alaska weigh the regional carrier’s future, I suggest caution at the idea of eliminating the brand and/or removing its trademark services. Sure, tighten the connection with Alaska, do some flying for other carriers, tinker with the route map, but don’t eliminate a nearly 30 year old Northwest brand, or rename it something unmemorable like Alaska Airlines Connection. Or is that Express?